Owing to our enriched industrial experience, we are devoted towards offering Armstrong Mineral Fiber Ceiling Tile to our clients. 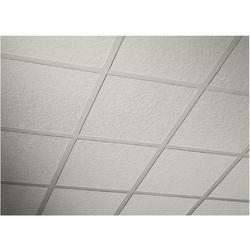 Riding on unfathomable volumes of industrial expertise, we are providing a broad array of Mineral Fiber Ceiling Tiles. Being a leader in the industry, we are engaged in offering a qualitative range of Fiber Tile to our customers. 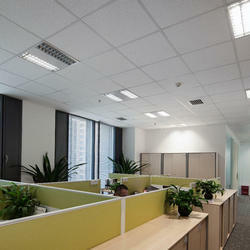 We offer various types of t grid layouts such as t grid system, grid ceiling frame work, t grid ceiling, grid system. our engineers, designers and architectures have complete knowledge regarding the market and customers’ needs. we always adhere to customer friendly rates and utilize high end tools and designing software to develop reliable and prompt solutions for the clients.